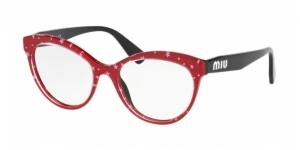 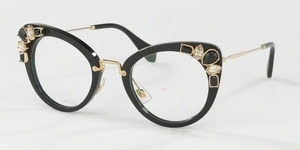 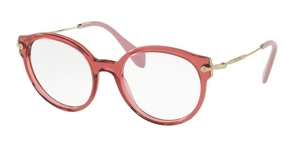 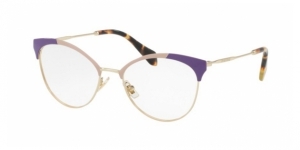 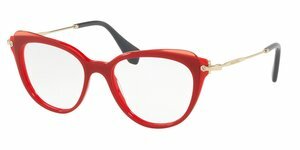 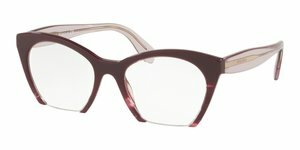 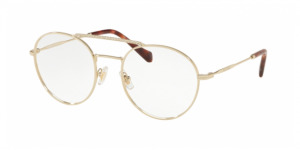 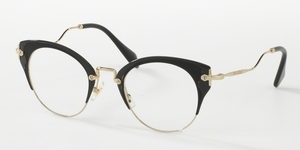 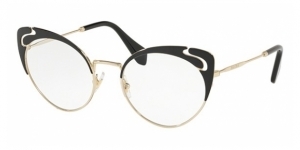 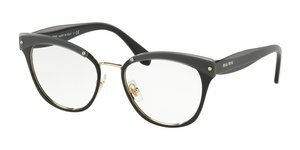 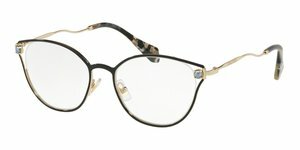 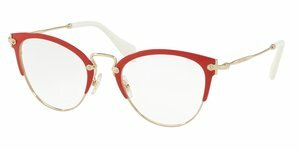 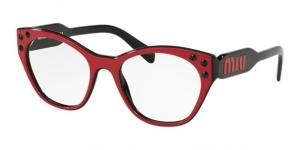 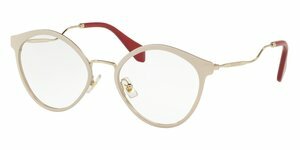 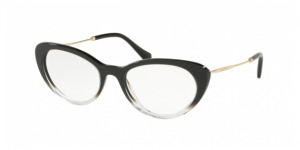 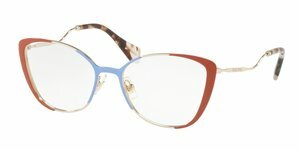 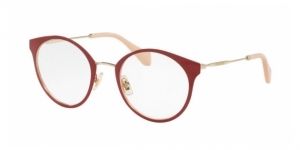 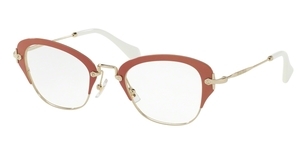 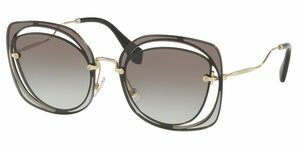 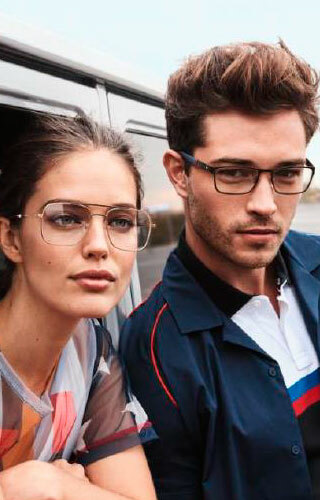 Miu-Miu MU 05PV, Are they prescritpion glasses or jewelry? 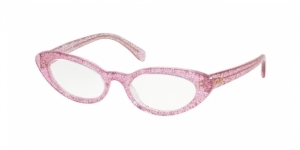 Last winter Miu-Miu launched the model that would be the success of the season, MU 04SS, are the sunglasses worthy of a princess with latching of precious stones which makes it shine like a jewel. 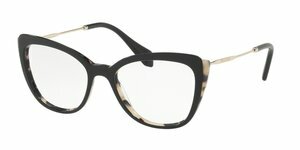 For sure it is important to mention there is also a prescription version included in this collection which is the model Miu-Miu MU 05PV. 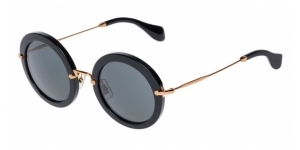 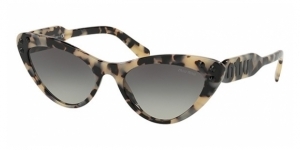 This sunglass has a shape which is similar to a cat eye with the front made with acetate and the bridge and the rods are made of metal. 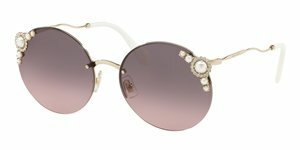 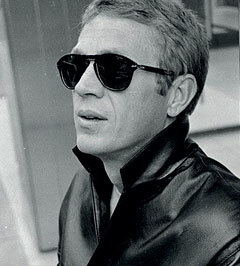 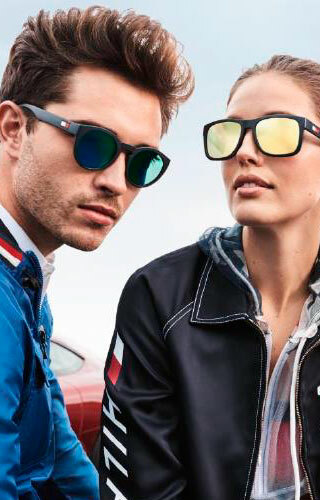 The little jewels that are smaller than in the sunglasses version to adapt them to the sizes of this model are linked together which makes of them one of the most important characteristics of these beautiful glasses. 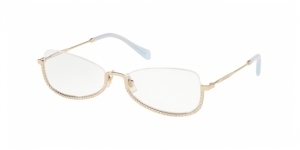 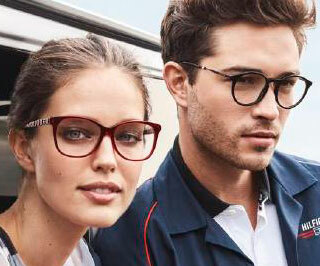 (They are available in size 50 and the length of the temples is 140). 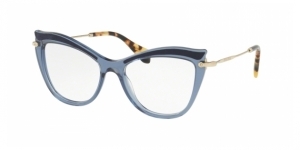 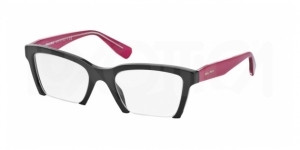 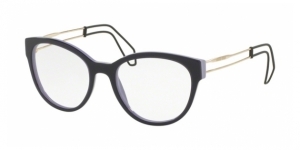 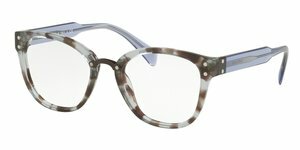 The MU 05PV are available in black, light havana, lilac transparent and celeste transparent colors. 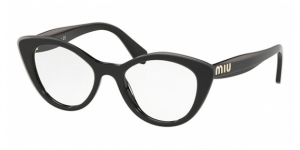 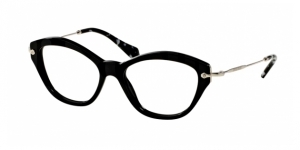 The woman who wears Miu-Miu is young, daring, sophisticated, and self-assured. 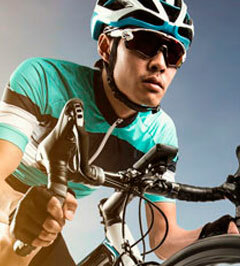 If you feel like that you are in the right place!